A group of just over 100 public employees and workers’ unions members blocked the capital’s Second Avenue on Monday morning to demand that officials from the Social Security System, or Caja, back out of their decision to increase by 1 percent the monthly salary deduction of all the country’s workers. Demonstrators gathered around 7:00 a.m. in front of the Caja building in downtown San José and blocked the vehicle passage for some four hours. Aside from traffic jams, there were no major incidents, National Police reported. 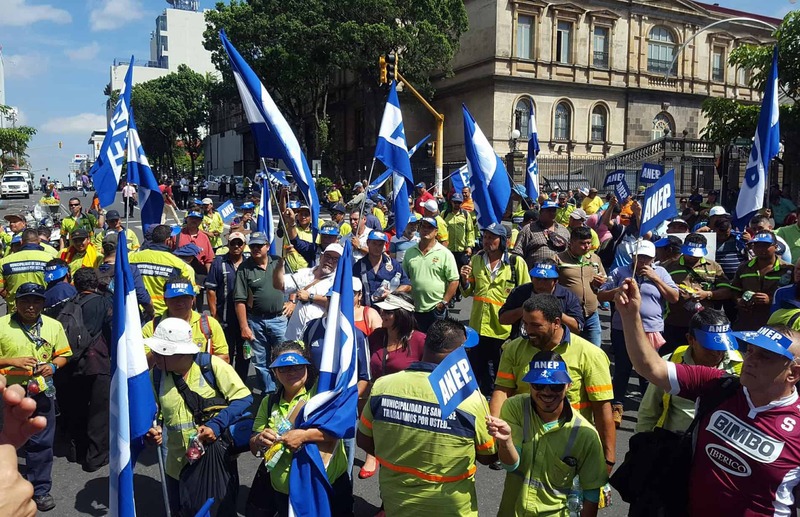 The group consisted mainly of workers and leaders of the National Association of Public and Private Employees, the country’s largest union, and of the Patria Justa Collective Union. Demonstrators chanted slogans and also displayed banners against “the pensions of 367 former bureaucrats exceeding ₡5 million ($8,700) a month” and paid with funds from the national budget. ANEP Secretary General Albino Vargas said that they are ready to escalate their protests to “a major event,” in case Caja officials maintain their stance of increasing the salary deduction. Union leaders ended the protest after meeting with Caja’s Pension Manager Jaime Barrantes and delivering him a written petition. The document demands that the Caja board reverse its decision to raise the monthly deduction. It also includes a series of recommendations to improve income without hurting worker’s salaries. Among others, unions are suggesting the creation of a temporary tax on all financial/banking transactions of up to 0.03 percent. Debit or credit card payments, ATM withdrawals and transactions over mobile phones would be exempt. Caja’s Barrantes told reporters that the institution will take the petition under consideration, along with others they have received from other groups in recent days. “I think these demonstrations are unnecessary because workers are the ones who will benefit the most with this measure. [The increase] will strengthen the funds to pay for their future pensions,” he said. 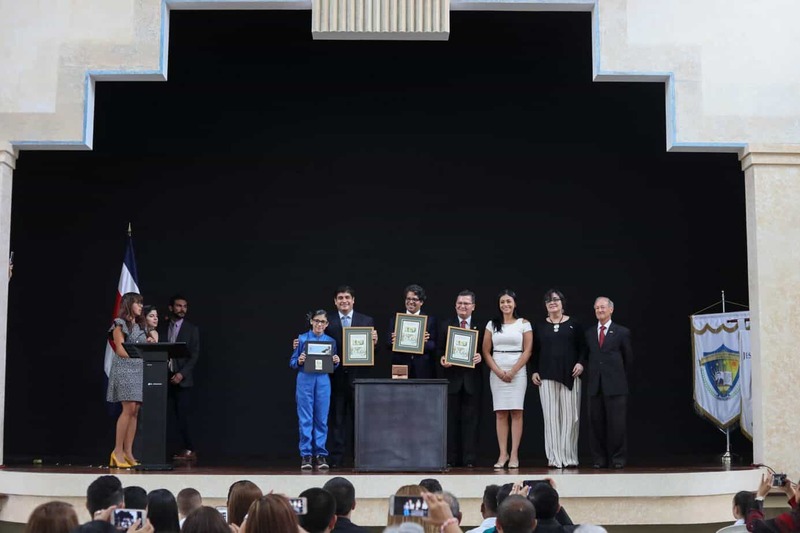 The Caja Board of Directors based their decision to raise the monthly salary deduction on results of a study conducted by experts from the University of Costa Rica’s School of Mathematics. The research recommended the measure to avoid the bankruptcy of the Caja’s Pension System.